Gammaplex 5% is indicated for replacement therapy in adults and pediatric patients two years of age and older with primary humoral immunodeficiency (PI) and the treatment of chronic immune thrombocytopenic purpura (ITP). In clinical studies, the most common adverse reactions with Gammaplex 5% were headache, pyrexia, vomiting, fatigue, nausea, sinusitis, and nasal congestion. References: 1. 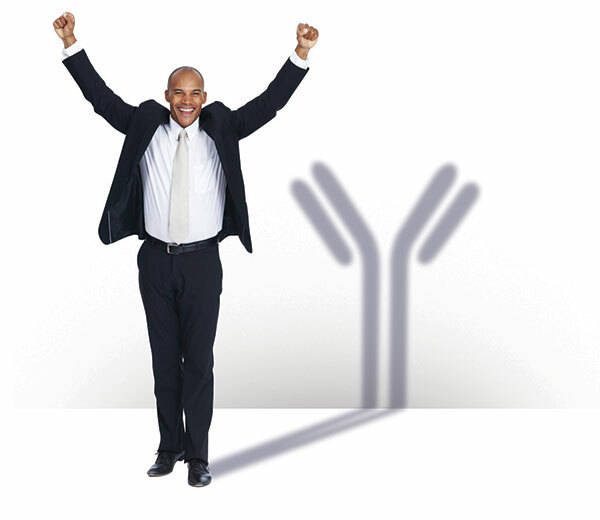 Gammaplex® 5% (Immune Globulin Intravenous [Human], 5% Liquid) Prescribing Information. Durham, NC: BPL Limited. 2017. 2. Moy JN, Scharenberg AM, Stein MR, et al. Clin Exp Immunol. 2010;162:510-515. Gammaplex 5% (immune globulin intravenous [human], 5% liquid) is indicated for replacement therapy in primary humoral immunodeficiency (PI) in adults and pediatric patients two years of age and older. This includes, but is not limited to, the humoral immune defect in common variable immunodeficiency, X-linked agammaglobulinemia, congenital agammaglobulinemia, Wiskott-Aldrich syndrome, and severe combined immunodeficiencies. Gammaplex 5% is also indicated for the treatment of chronic immune thrombocytopenic purpura (ITP). Thrombosis may occur with immune globulin products, including Gammaplex 5%. Risk factors may include: advanced age, prolonged immobilization, hypercoagulable conditions, history of venous or arterial thrombosis, use of estrogens, indwelling central vascular catheters, hyperviscosity and cardiovascular risk factors. Thrombosis may occur in the absence of known risk factors. Renal dysfunction, acute renal failure, osmotic nephrosis, and death may occur in predisposed patients who receive immune globulin intravenous (IGIV) products, including Gammaplex 5%. Patients predisposed to renal dysfunction include those with any degree of pre-existing renal insufficiency, diabetes mellitus, age greater than 65, volume depletion, sepsis, paraproteinemia, or patients receiving known nephrotoxic drugs. Renal dysfunction and acute renal failure occur more commonly in patients receiving IGIV products containing sucrose. Gammaplex 5% does not contain sucrose. For patients at risk of thrombosis, renal dysfunction or acute renal failure, administer Gammaplex 5% at the minimum dose and infusion rate practicable. Ensure adequate hydration in patients before administration. Monitor for signs and symptoms of thrombosis and assess blood viscosity in patients at risk for hyperviscosity. Gammaplex 5% is contraindicated in patients who have had a history of anaphylactic or severe systemic reactions to human immune globulin; a hereditary intolerance to fructose and in infants and neonates for whom sucrose or fructose tolerance has not been established; and IgA deficient patients with antibodies to IgA and a history of hypersensitivity. In patients at risk of developing acute renal failure, monitor renal function, including blood urea nitrogen (BUN), serum creatinine and urine output. Hyperproteinemia, increased serum viscosity, and hyponatremia may occur in patients receiving IGIV therapy. Aseptic meningitis syndrome (AMS) may occur infrequently with IGIV treatment. AMS usually begins within several hours to 2 days following IGIV treatment. Discontinuation of IGIV treatment has resulted in remission of AMS within several days without sequelae. AMS may occur more frequently in association with high doses (2 g/kg) and/or rapid infusion of IGIV. Hemolysis and hemolytic anemia can develop subsequent to IGIV treatments. Patient risk factors that may be associated with development of hemolysis include high dose (>2 g/kg), non-O blood group, and underlying inflammatory state. Noncardiogenic pulmonary edema may occur in patients following IGIV treatment (i.e. transfusion-related acute lung injury [TRALI]). Monitor patients for pulmonary adverse reactions. If TRALI is suspected, test product and patient’s serum for anti-neutrophil antibodies. Gammaplex 5% is made from human plasma and may contain infectious agents, e.g. viruses and, theoretically, the Creutzfeldt-Jakob disease agent. No cases of transmission of viral diseases or CJD have been associated with the use of Gammaplex 5%. In clinical studies, the most common adverse reactions with Gammaplex 5% were headache, pyrexia, vomiting, fatigue, nausea, sinusitis, and nasal congestion. Serious adverse reactions observed in clinical trial subjects with primary immunodeficiencies were thrombosis and chest pain. Serious adverse reactions observed in clinical trial subjects with Immune Thrombocytopenic Purpura were headache, vomiting and dehydration. You may also call BPL at 1-844-4BPLUSA or email MedInfo@BPLgroup.com. Gammaplex® is a registered trademark of Bio Products Laboratory Limited.